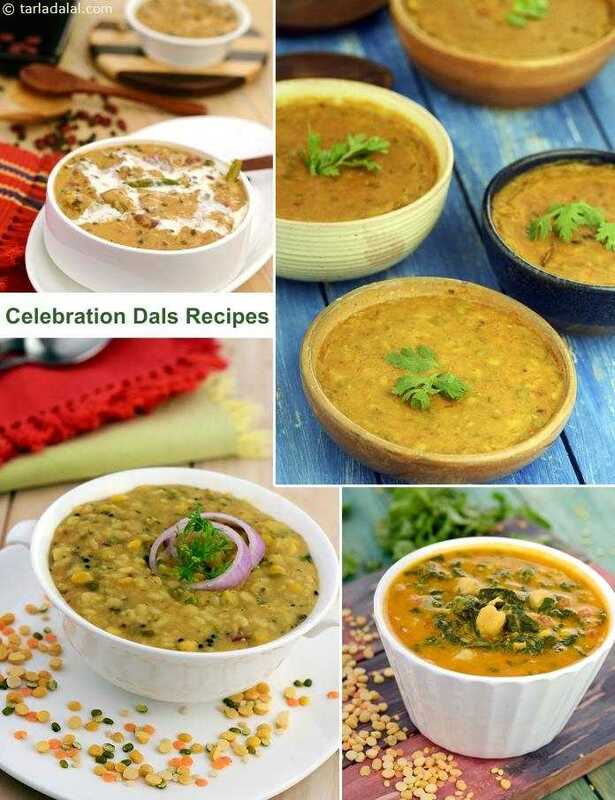 Celebration Dal Recipes, Special Occasions dal recipes. This section introduces you to more elaborate ‘Celebration Dals’, which can be made on weekends or special occasions, when you have more time and everybody is at home to enjoy the experience of having good, fresh food in the company of their loved ones. Such occasions surely deserve exceptional options like Dal Makhani , Panchmel Dal or Dal Moghlai . Enjoy our Celebration Dal Recipes, Special Occasions dal recipes and other dal, kadhi recipe articles below. This dal is certain to please the king! Kabuli channa is over-cooked and blended into a coarse puree. The puree is cooked in hot oil with onions and spices before thick, creamy coconut milk is added to the dal. Don’t forget the garnish before serving!